If you're wondering why the architectural blueprints for the World Trade Center were in the garbage, you're also probably wondering why they were in Denver to begin with. We here at 9NEWS asked the same thing. DENVER — How did we get the saying, "One man's trash is another man's treasure"? He was driving along a southwest Denver street last week, when he saw his soon to be treasure in a trash pile in front of someone's home. "The reason why I stopped is because I do antiques, and what I originally thought in my head is they were maps, antique maps," said Haas. "We're in the middle of the street with our blinkers on, digging through the trash, grabbing all this stuff out of there, and then it started hitting me what I actually had." What he found was not in the black Denver trash can or the purple Denver recycling bin. He said it was strewn about near the trash. "Like if a tornado hit it, I seen them all on the side of the road," said Haas. "They were just scattered all over the street. One was just, kind of, scattered all the way over here, you had another one scattered way over here." What he found left out with the trash were blueprints. "When I started looking at the blueprints that were there, I started seeing the World Trade Center Tower B. Tower A," said Haas. Not Denver's World Trade Center. THE World Trade Center. The Twin Towers. In a pile, waiting for the trash pickup, were architectural blueprints, Mylar drawings and photo slides of the original World Trade Center. "When I started going through all of it, I started realizing the significance of what I actually got," said Haas. "I don't know why the family threw this stuff out." To put his find into context, you need to understand what he actually saw on the side of the road. 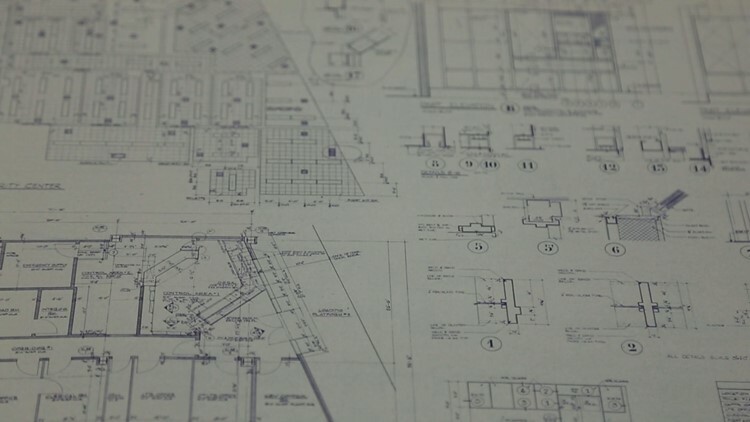 He found dozens of rolled up blueprints, home additions, renderings and sketches, as well as boxes of circular slides piled next to a trash can in front of a home. "What actually drew my attention is all the documents were out onto the street," said Haas. "Under all this stuff was the blueprints to the World Trade Center, so it was under all this stuff that I had to dig up to actually grab the blueprints." 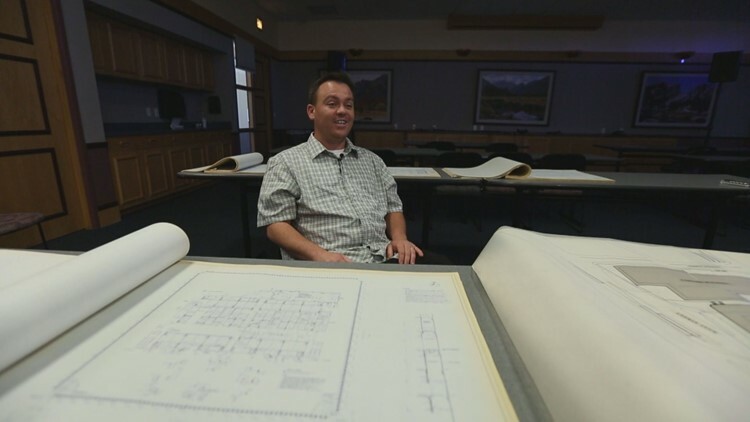 If you're wondering why the architectural blueprints for the World Trade Center were in the trash, you're also probably wondering why they were in Denver to begin with. Minoru Yamasaki designed the World Trade Center. He worked with Emery Roth & Sons to build the towers. 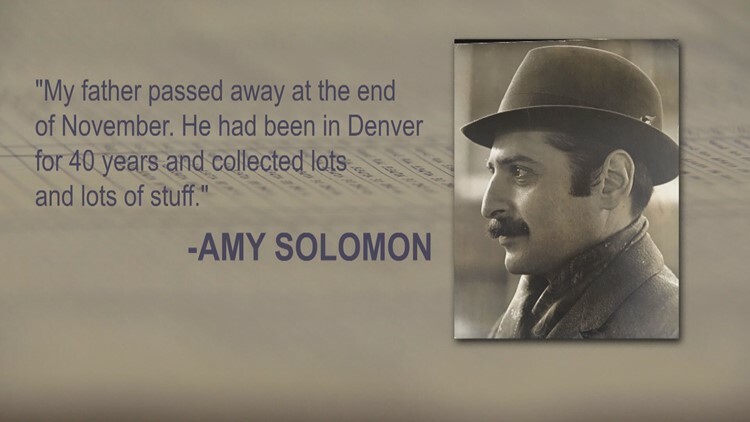 Joseph Solomon was an architect at Emery Roth & Sons. Solomon was living in southwest Denver when he died in November. He would go on to help with the construction of Denver International Airport, the Denver Tech Center and the Colorado Convention Center. "My father passed away at the end of November. He had been in Denver for 40 years and collected lots and lots of stuff," said his daughter Amy Solomon when reached by phone at her home in California. "What do you keep? What do you throw away? What is meaningful and what doesn't, maybe, take up a tremendous amount of room when you need some space." She was recently in Denver, at her mom's house, cleaning out the garage and taking out the trash. "I saved the beautiful sketches of the construction site, of the construction workers, and as the towers were going up, the church in the background, those were most meaningful to myself and my sisters, whereas the actual architectural plans were not as nostalgic, was not something that we needed and so I put them out with the trash," she said. "Do you know if there's a value to them?" asked 9NEWS reporter Marshall Zelinger. "I wouldn't have thought so, but it's amazing what people can find value in," said Solomon. "I don't really think anyone can do anything with them other than build another tower." 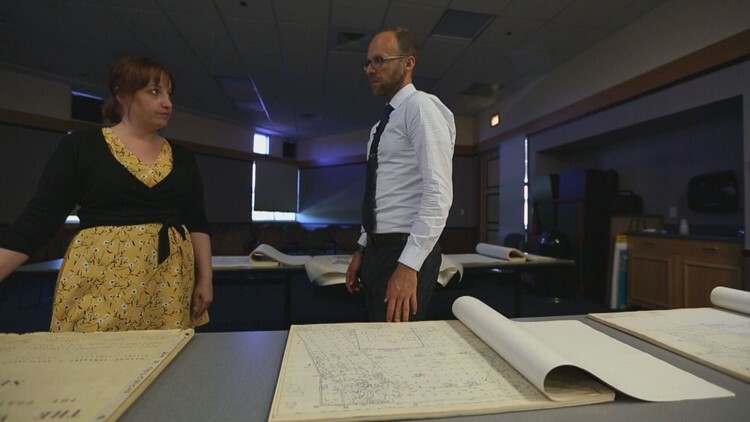 "This would be something valuable to researchers, researching the events of September 11," said Denver Public Library archivist Katie Rudolph, who looked at the blueprints to help us understand what makes them valuable. "The fact that this is a structure that is no longer with us, that makes it valuable," said Rudolph. She said she can't appraise documents like the blueprints, but she did say it would matter how many other sets exist. There would be architectural blueprints, structural, mechanical and engineering, just to name a few. And perhaps numerous copies of each. The 9/11 Memorial & Museum does not have blueprints like this and directed us to The Port Authority of New York & New Jersey. The Port Authority would be the agency that the blueprints were originally filed with. A spokesman with The Port Authority sent eight attachments in an email. 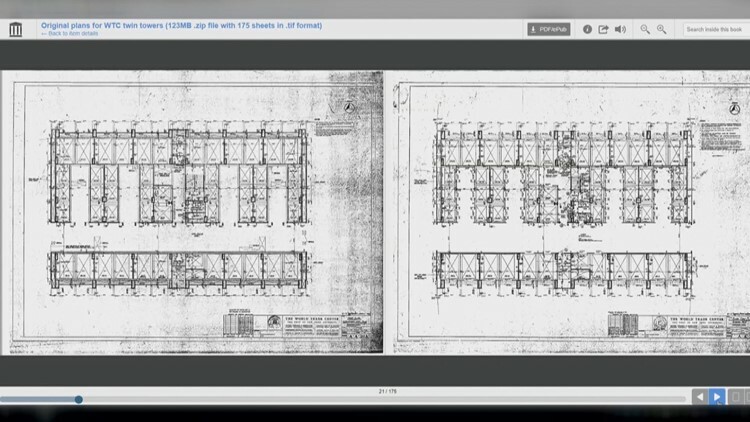 Three of them were architectural blueprints for Tower B. Five of them were Structural blueprints. "Much of our archive was destroyed on 9/11 since our offices were in One WTC," the spokesman wrote. The New York City Library had no architectural plans and directed us to the Center for Architecture. The Center for Architecture did not have them either and sent us to Avery Architectural, which houses historical records for Emery Roth & Sons. "In our Emery Roth & Sons collection, we have drawings for 7 World Trade, but not for the two towers. Since we do not have a set of drawings for this project, we would likely be interested in the donation of these found drawings. Since these are diazo prints, they are inherently not one of a kind since their format is an architectural reproduction format. 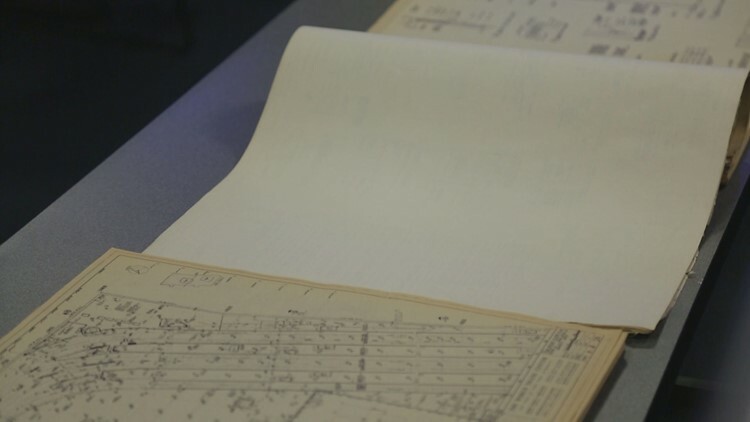 However, there was likely not many sets of the drawings made, so it is rare but not unheard of that these drawings and other sets are in private hands still," said Avery Archivist Shelley Hayreh. "Is there a difference between historical value and monetary value?" Zelinger asked Denver Public Library's archivist. "Absolutely," said Rudolph. "Monetary value, they're going to be concerned about the quality of the paper. Are there nicks in it? Is it water-damaged? In an archive, we don't really care about that as much. It's what's on the page that is really important. If there's information there that we think people will want to see for generations to come, that's something we're going to preserve." Haas said he wants to sell his newly found treasure, but also wants people to be able to see the blueprints at a museum. "You want to sell them and you want the public to see them? Those don't always go together," said Zelinger. "Right, so the end result would be, if I couldn't sell them, then I would eventually donate them to a museum, something like that, where the public could be able to see them. The end result, at the end of the day is, I want people to actually see these." "Do you think you should have it? This stuff?" Zelinger asked Haas. "I think I should. You know, because what I did is I saved it from going to the dump. No one here would ever even see these," said Haas. "After two days of having them, I made sure I called the city and asked them if I was allowed to have those. I talked to the city of Denver, they said as long as she threw it out on the street and on the sidewalk, it was not on her property, therefore it's my property." That's not what the city of Denver told 9NEWS. Trash collection is an arm of Denver Public Works. 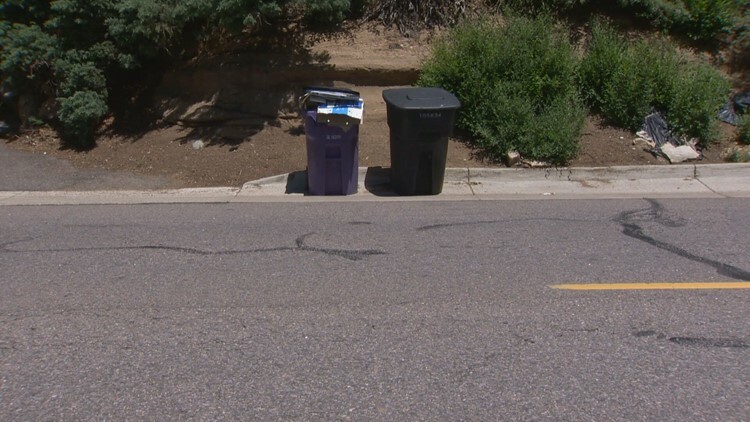 We asked a spokeswoman if anyone has a right to take what's next to trash cans, left out for trash outside of someone's home. "This is actually referred to as scavenging," said Denver Public Works spokeswoman Heather Burke. "Once trash is set out on the public right-of-way, it becomes the City's property, so, the scavenger is actually taking it from the City. Denver does not typically enforce scavenging, as it's hard to prove."